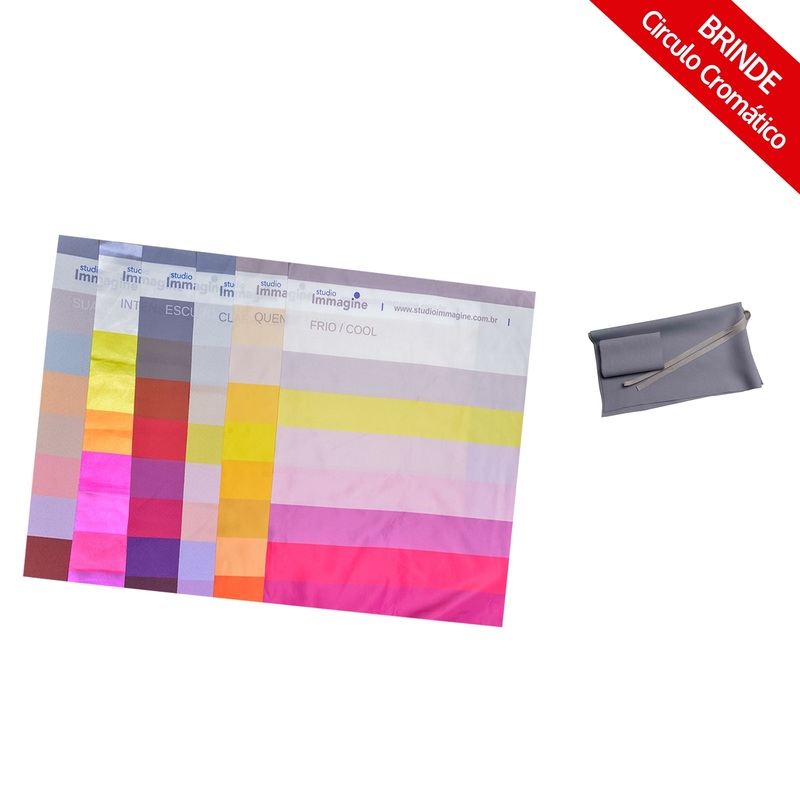 For the preparation of the personal coloring test the material includes kit of 06 color dimensions: warm, cold, light, dark, soft and intense and cover and band plus gift (chromatic circle). Each fabric measures approximately 150 X 45 cm. 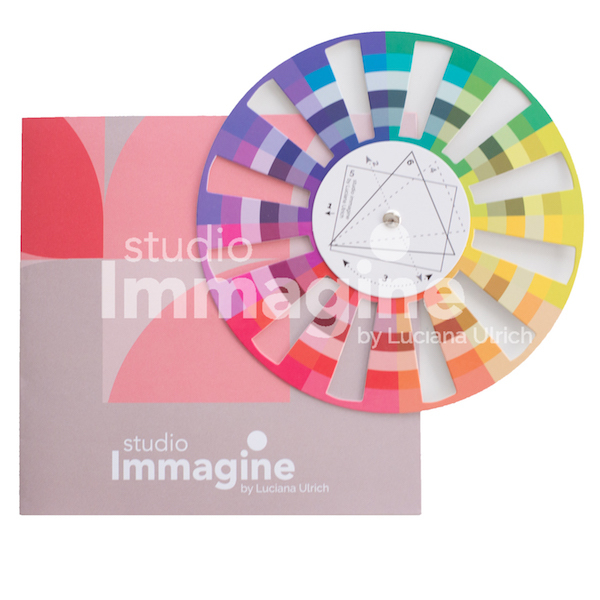 cover and band Laser-cut, neutral-color fabric cover and band kit. 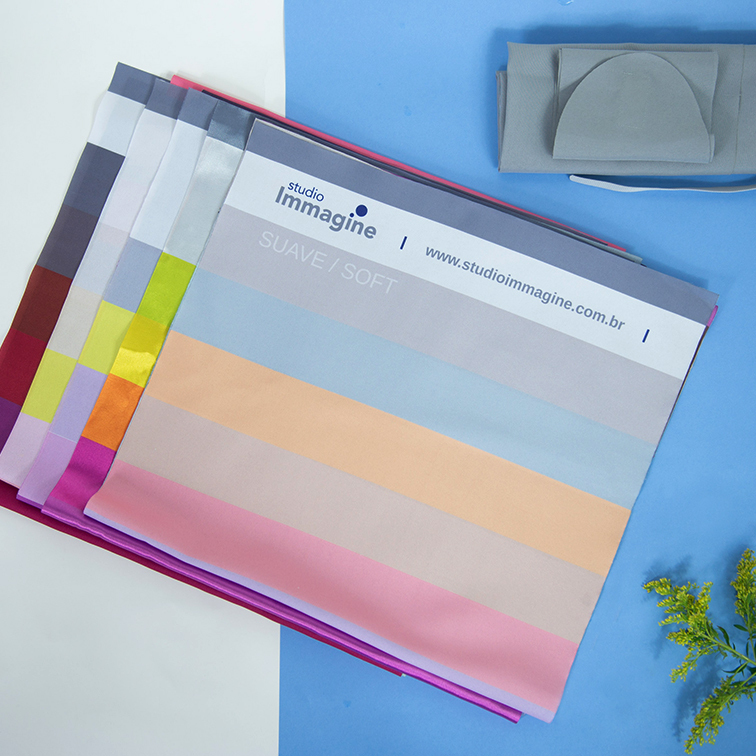 This kit is ideal to perform the personal coloring test on clients, thus showing only the face area without interference of hair cosmetics and clothing colors. 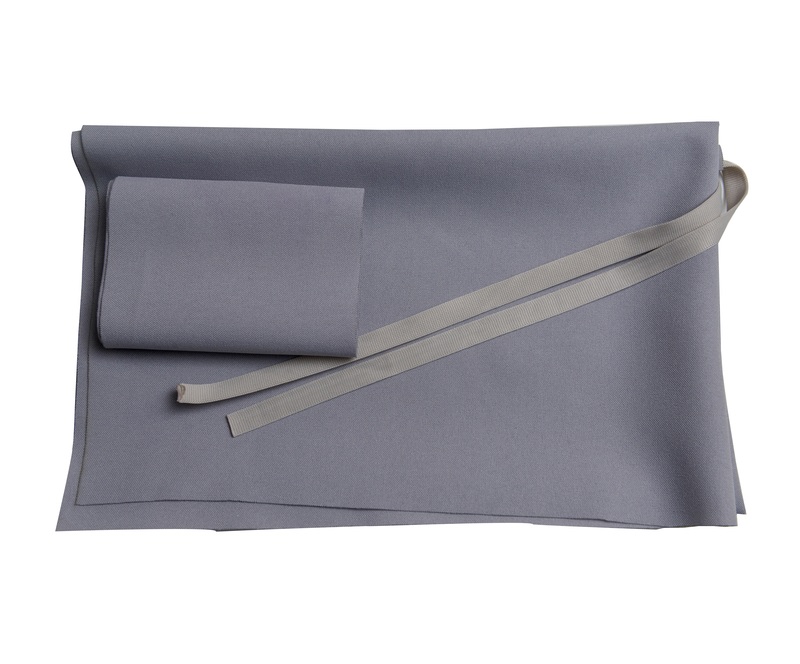 The hair band measures approximately 64 X 13 cm, with velcro finish to fasten and the cover 75 X 65 cm. 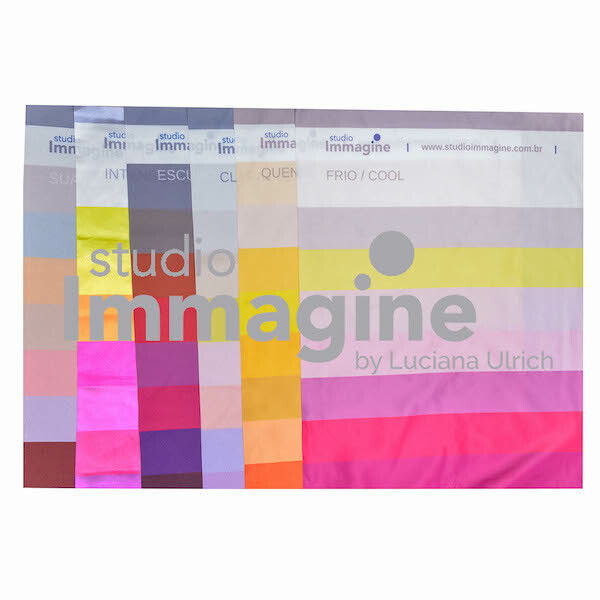 Circle on quality paper, with color selection and exclusive fingerprint by Luciana Ulrich, according to the expanded seasonal method.